Time for an update on this effort. Previously, I calculated that Texas may have executed 54 innocent people, plus or minus a statistical margin. That's an outrageous number to be sure, but that's what my analysis said. If my calculated number is anywhere close to being correct, it should be possible to identify a large number of people executed by Texas who were "probably innocent." I'll concede up front that it's unlikely I'll prove any one of them "absolutely innocent" to everyone's satisfaction. I'll not let that impossible standard thwart my effort. So far I have identified 61 cases (out of 451) worthy of further review. Many of those will not end up on my "probably innocent" list, but most of them may. At this point, I'm guessing that there will be dozens on that list. For me, it is no longer an issue of whether this particular person was actually innocent, or that particular person, or both of them. For me, it no longer seems to be an issue of onesies or twosies. It's now an issue of how many dozen innocent people Texas has executed. Allow me to describe how I am proceeding. I noted in the original post that this effort would be a massive undertaking, and that I would probably need a fair amount of help. As it turns out, I was correct. The good news is that I discovered others have travelled this path before me. Though no single person or organization has (best I can determined) reviewed all 451 cases, most of the cases have been documented or summarized in various legal documents, newspapers, and web sites. I greatly appreciate all the work he has already put in so that researchers such as myself can benefit. There are other sources of information which have also been of substantial help, but I found none of them as objective and thorough as David's. I'm sad that his site covers only half of those cases I seek to review. I intend to make two passes through the cases. In the first pass, mostly complete, I will flag most executions as unworthy of futher review. I will flag the remaining of being worth further review. Right now, as mentioned above, I have identified 61 as being worthy of further review. That number will grow only slightly as I finish the first pass. The defendant confessed soon before his execution. Since Texas provides the last statement of most everyone executed, that task is relatively straightforward. Still, I have spent many long hours working through them all. I'm surprised by how many offenders 'fess up at the last moment. I estimate that this criterion will exclude around 100 cases from further review. The person admitted he was involved in the crime, but claims he didn't actually commit the murder. Not good enough for me. Those cases are out, in pretty large numbers. The person admitted to killing the victim, but did so because of a hair-trigger on the gun, or an amourous homosexual advance, or drunkenness, or mental incapacity. None of that matters. In my accounting, for this purpose, if the defendant killed the victim, the case is excluded. I simply can't round up any information. These cases frustrate me and take up lots of my time. Unfortunately, I can't declare someone "probably innocent" without some data to back up the claim. Now for some elements that attract my attention, none of which is sufficent by itself to justify a more thorough review. The defendant maintained his innocence from the beginning to the end. It's surprising how few people use their last words to proclaim their innocence. Most tell their family members they love them, that things will be okay, that they will be with Jesus soon. A quarter of them admit their guilt. A tenth of them proclaim their innocence. The conviction was weak on foresnic evidence. 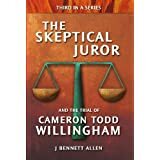 The conviction relied heavily on eyewitness testimony. Though most people consider eyewitness testimony to be the gold standard, it has been proven time and time again to be the weakest testimony. The Innocence Project concludes that incorrect eyewitness testimony has been a major factor in more than 70% of the DNA exonerations so far. 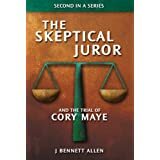 The conviction relied heavily on the testimony of someone saving himself by selling out the defendant. This includes alleged accomplice testimony as well as jailhouse snitches. I hate jailhouse snitches. When I see the prosecutor planted multiple jailhouse snitches near the defendant's cell because he couldn't make the case otherwise, the claxons go off. The conviction relied heavily on an early confession, soon recanted. If the interrogation was videotaped, and the videotape shows no coercion or manipulation, then the confession counts. Interrogations are easy to record. When not recorded, I suspect shennaigans. Incompetent representation. I'm not talking about the wrong legal maneuver here or there. I'm talking about completely worthless attorneys such as the clown assigned to Hank Skinner. Most counties in Texas do not have a public defender system. The judge picks the private attorney who will represent the indigent defendants. 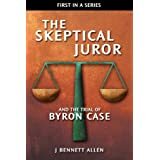 The judge picks the attorney for his own reasons, not the least of them being low cost and the speed with which the judge can clear his docket. Competent attorneys meet neither criteria. They only slow things down, and time is money. In future parts of this series, you will learn of gruesome stories sadder than you can imagine. Once I've finished my first pass, I will make a second pass through only those cases I've marked for further review. During this second pass, I will be more thorough and more skeptical in my review. I will attempt to weigh the case against a set of objective standards, which means only that I'll do my best to make a reasonable, objective decision. Then I'll announce how many "probably innocent" people have been executed by Texas. As a teaser, in the next part, I'll detail two cases. I'll let you decide which defendant is "probably innocent" and which is "no way innocent."